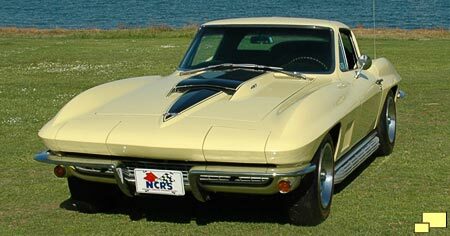 The side fender vent was updated to a five slot configuration for 1967, which was the last year for the C2 "mid years" run. The knock-off wheels no longer included spinners which were afoul of government safety regulations. 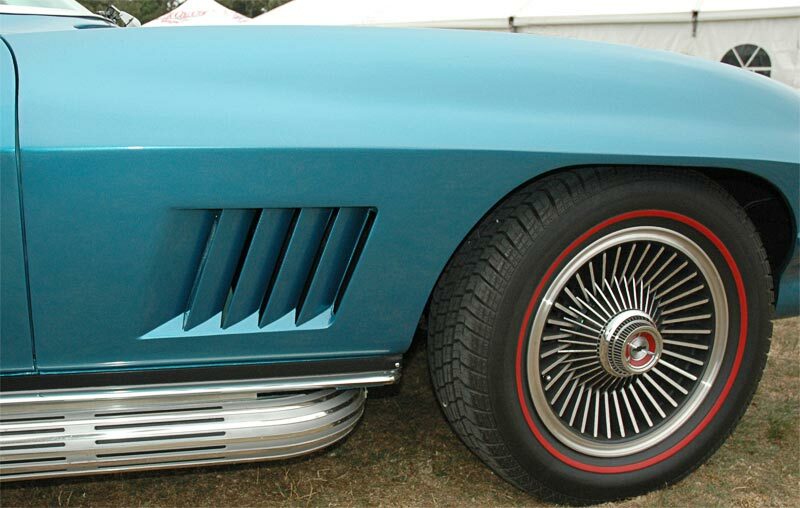 The functionality of the wheels also changed as they were attached by five lug nuts hidden behind the clip on center cap. Fender insignia was also eliminated for the 1967 model year. Above left: Mushroom style knobs, to comply with newly enforced safety standards were exclusive to 1967. 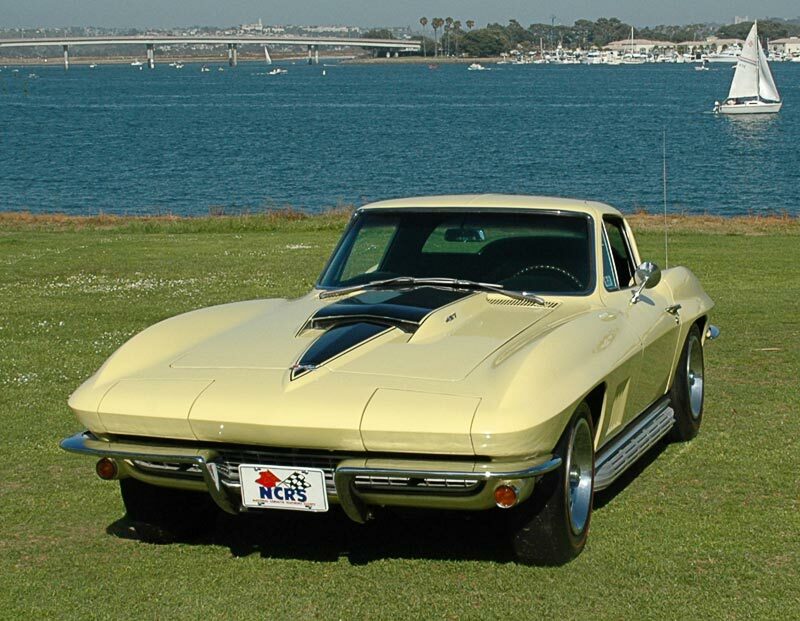 Middle: Distinctive "Stinger" style hood which signified a big block engine is 1967 only. Right: Radio antenna as installed at the factory was a fixed design although dealers sometimes installed a telescoping unit. Below: Backup lamp located above the license plate was 1967 only.